Jetsetter is a 38.6 meters luxury motor yacht which was delivered in 2016. She was built by Dynamiq while her interior design is a work of Bannenberg & Rowell and her exterior design by Dobroserdov Design.She belongs to a new category of yachts, called Gran Turismo Transatlantic (GTT). Blending top performance with modern luxury, JETSETTER was built by Dynamiq and launched in 2017. Since her launch this cutting-edge yacht has been awarded many accolades within the industry, winning the 2017 International Superyacht Society Award and the 2018 German Design Award. When on board, whether cruising, at anchor or in port, the comfort of you and your guests is paramount. Jetsetter offers a smooth and stable motion thanks to the innovative hull design, which also uses the latest in electric stabilisers and special hull control systems. Noise and vibration are the lowest in class, thanks to exceptional insulation and her innovative propulsion system. Even on deck your comfort is assured, thanks to wind protection and infrared heaters that extend the seasons you can enjoy the outdoor spaces. Jetsetter is built in aluminium. Regarded as the optimum construction material particularly for performance vessels, aluminium offers the perfect balance between strength and weight, ensuring fast yachts with highly efficient characteristics. Sporty exterior styling of Jetsetter is by Monaco-based Dobroserdov Design, interiors are by London’s Bannenberg & Rowell, while naval architecture comes from Azure and Van Oossanenfrom the Netherlands and the build takes place in Italy. 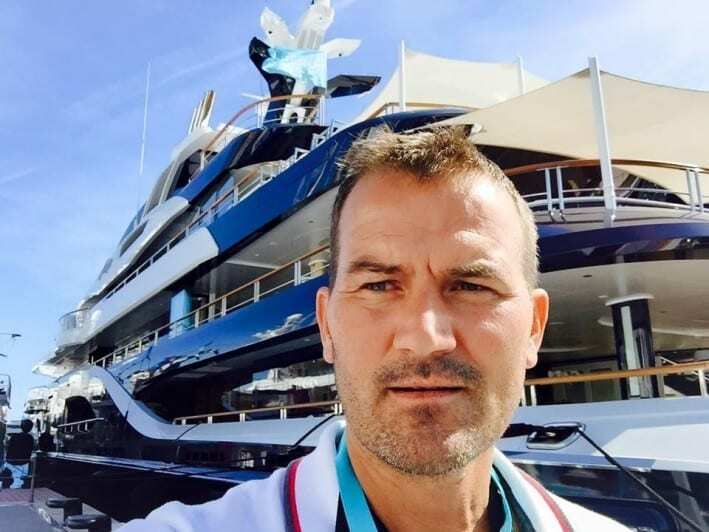 Dobroserdov compares Jetsetter’s huge sundeck to the one found on the Amels 180 series, and indeed there is a similar feel, with the space divided into two distinct areas. Sunpads and dining table are aft, then a bar and TV bisect the space and a very large spa tub and exercise equipment are forward. Planing hulls are fast with styling to match, but they have limited range and comfort. Full-displacement hulls offer more comfort underway, but they are generally slow and less exciting to look at. His answer is the 126-foot (38.6-meter) Jetsetter, the first D4 model, which made her debut at the 2016 Monaco Yacht Show. She is the first in the Dynamiq range of all-aluminum displacement yachts with a common technical platform.